He's a pro at untangling yarn. He growls at it and it winds itself into a perfect ball! A Whirl of a Crawl! The first four days of the Yarn Crawl have been super busy! it was a zoo in here over the weekend— a zoo full of happy people immersed in yarn fumes. We've even had a few Crawlers turn in completed passports already! We have stamped over 300 passports and given out more than 500 patterns! We have made new friends and hugged long-time customers! And there are still 6 more days to go! Our dripping-paint/melted-crayon patterns have gotten a great reception from Crawlers! 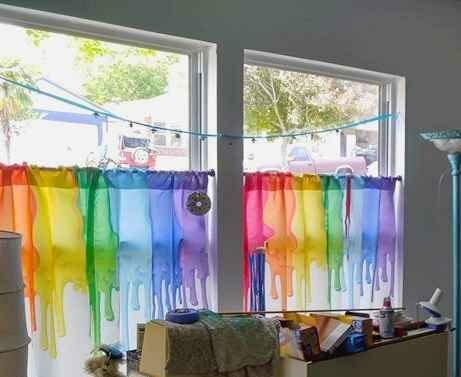 Both are based on the curtains in Wendy's yarn room (click for pic). Dawn created a crocheted modular drawstring cowl and Wendy knitted a melted cuff for her sock pattern. Both will be available for sale on Ravelry or in-shop at the end of the Crawl. There is an OOPS in the sock pattern. The printer accidentally blocked a small part of the chart for the cuff. But never fear, there's a digital version that has an unobstructed chart as well as row-by-row cuff instructions (for the chart averse) and detailed instructions for those new to sock knitting. To get the free digital version, simply go to this link and use the coupon code provided in the print version! 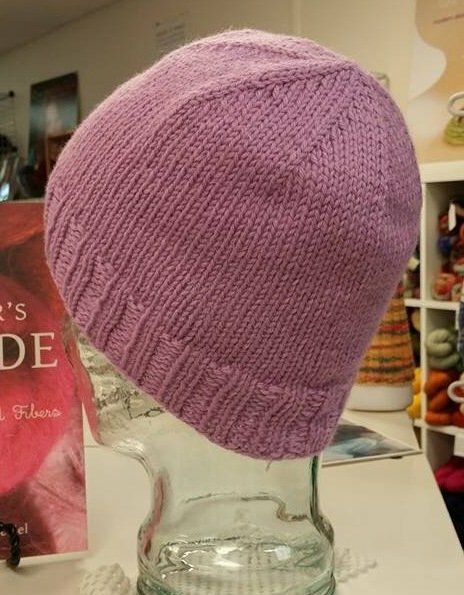 Reminder - We DO NOT wind yarn during Yarn Crawl! We'll start winding again on Monday after Crawl! Wollmeise Trunk Show! Yup, you heard right— we've gotten our hands on some more of this fabulous yarn (it's Wendy's Gold Standard yarn for socks). We have limited amounts of both Pure and Twin this week only! 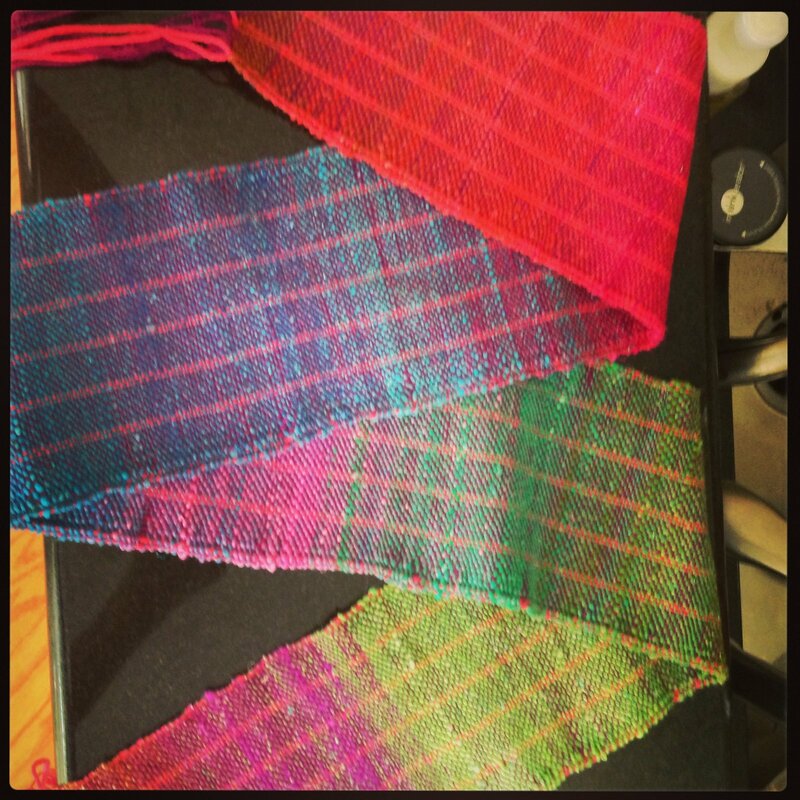 The Knitting Artist is one of the our unique indie dyers. Not only does she make beautiful yarn, but she also paints, making stunning yarnscapes in oils. Prints of her art are available, as well as yarn that evokes the same feel as her art. Make sure your Passport is turned in by 6 pm on Sunday, October 14 to be entered for the Grand Prizes (Prizes for getting to 8, 14, or all 18 shops)! Have you gotten a ton of new sock yarn while Yarn Crawling? 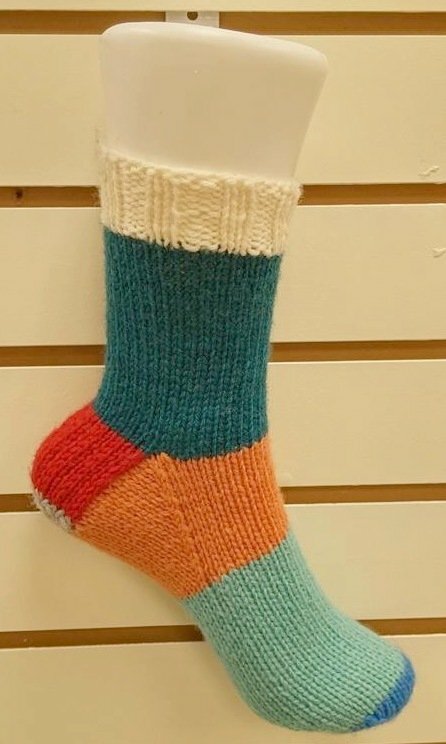 Or just have sock yarn that doesn't want to be socks? 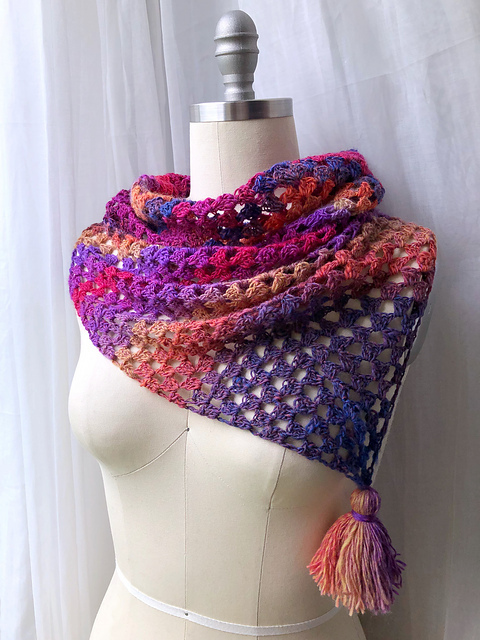 Here's a great crochet idea - the Turnabout Cowl from Carissa Browning. This FREE pattern uses granny-style double-crochet clusters to make a super cute cowl! We got in a BIG Cascade order. We're trying to get it all checked in and in the cubbies while taking care of Yarn Crawlers. We've also got yarn from Crafting My Chaos, Blue Mule and Kyla's Lab that we wouldn't let them take home after their trunk shows and Turtle Looms that Bluebonnet Crafters left behind. So if you missed their shows, you can still get their goodies! To figure out your size for a pattern, measure a top that fits you well, and compare that to the finished size on the pattern (often found on the pattern schematic). That way you get a sweater that fits the way you like it. 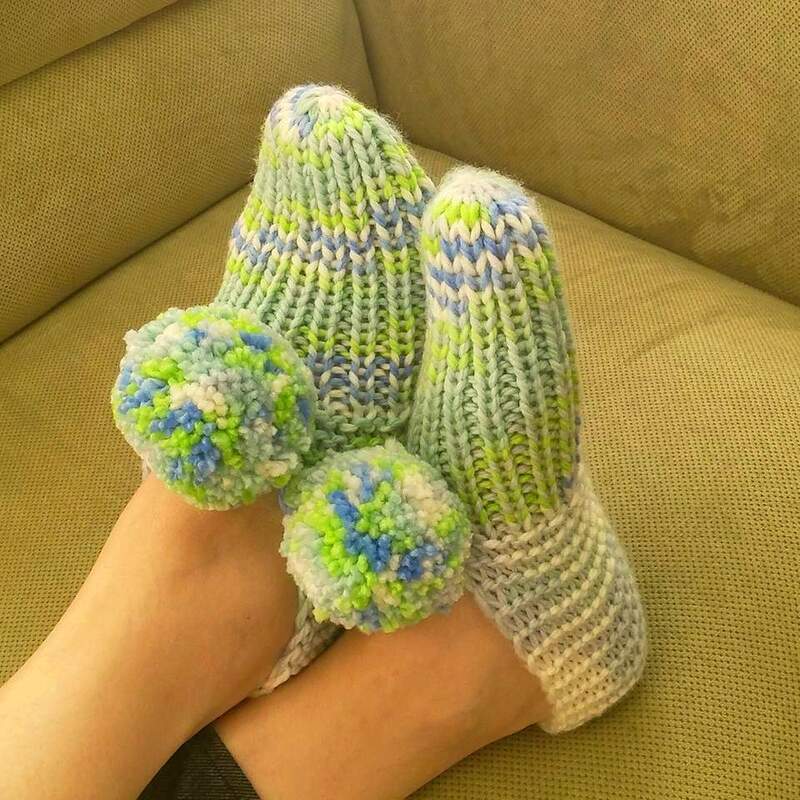 Warm your toes with this class! 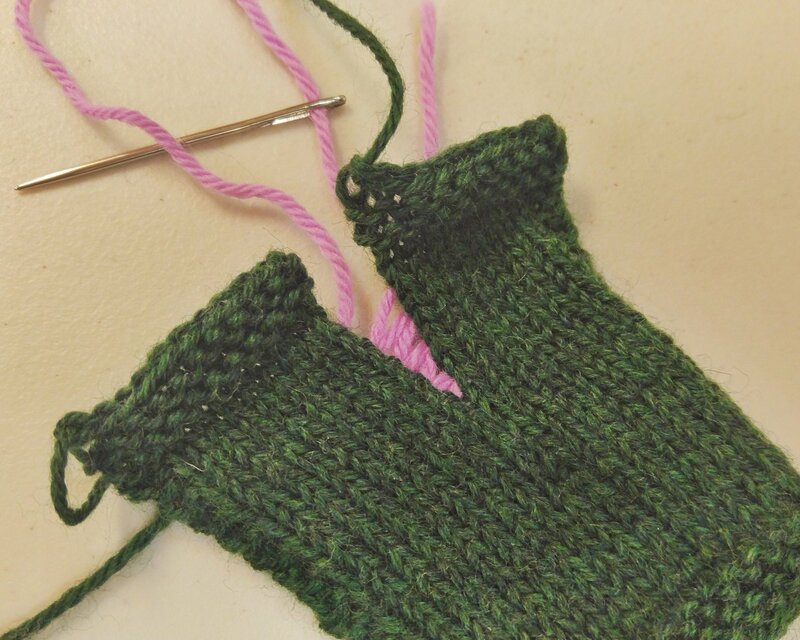 Learn about the parts of a sock and the skills needed to make a perfectly fitted sock from cuff to toe. Make a scary Halloween Ornament! Choose from Spider, Bat, Ghost, or Jack-O-Lantern and take your new ornament home to decorate your favorite haunts! 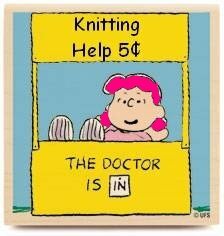 No knit or crochet experience needed! Anyone can do this! No need to sign up - just drop in and grab a seat as they become available!